When we asked conservatory owners about the cost of their conservatory, 11% said they paid more than they were originally quoted – with some having to shell out over £5,000 extra. The majority of owners who had to pay more (31%) had less than £500 worth of extras added to their bill. However, 22% of them paid between £501 and £1,000 more and 11% ended up paying more than £5,000 in addition to their initial quote. If you’re thinking of buying a conservatory, then make sure you know how to get the best price. We’ve spoken to experts and conservatory owners to bring you their advice and tips – see our guide to conservatories and orangeries. The type of conservatory you choose can make a big difference to your spend, so think carefully about your budget before you set your heart on a design. For example, the cheapest is a simple lean-to conservatory that is all glass and accessed through the current back door of your house. You’ll pay a lot more for a substantial orangery that has part brick work and has been made into an open-plan space connecting to your home. The company you choose can also make a difference to the price too. In some cases, we found that were was as much as a £4,000 difference between the cost people paid if they bought from a local builder, national company or local conservatory company. Our research can help you avoid being overcharged and give you an idea of how much you should budget for a conservatory. We’ve worked with the Royal Institution of Chartered Surveyors and asked conservatory owners about the cost of their conservatory – see our unique guide to average costs for different conservatory sizes and types. Cost is, of course, important. But ensuring you have a space that’s comfortable and suits your lifestyle is also key – we found that four in 10 of conservatory owners admitted they would have done something differently. Nearly four in ten owners said their conservatory was too cold or too hot, so it’s important to think about materials. The amount of glass versus brickwork is worth thinking about, as this could help you regulate the temperature of the room and make it feel more integrated with the rest of your home. You’ll also want to think about the type or glass you do use, from self-cleaning glass to thermally efficient glass. 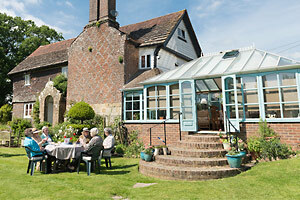 The glass you get could make a big difference to how you use your conservatory. Lastly, think about how you want to heat or cool your conservatory, be it with underfloor heating or ceiling fans. We’ve spoken to experts and conservatory owners and asked them for their top tips so we can help you to avoid conservatory frustrations. Take a look at our full guide to common conservatory pitfalls.